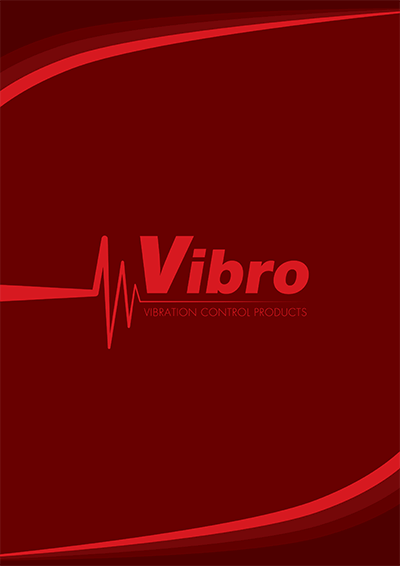 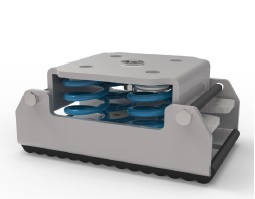 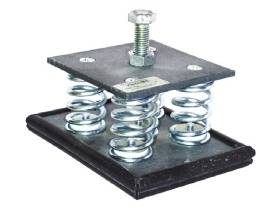 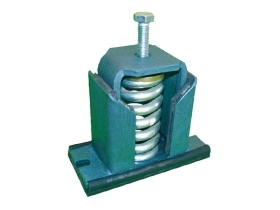 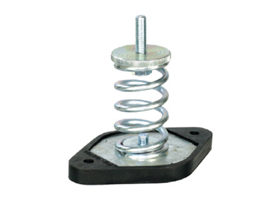 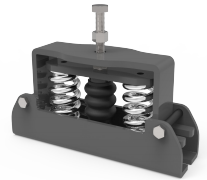 Spring mounts with very low natural frequency value are primarily used for vibration absorption in a wide range of building and industrial applications that low excitation frequency vibration control is required. 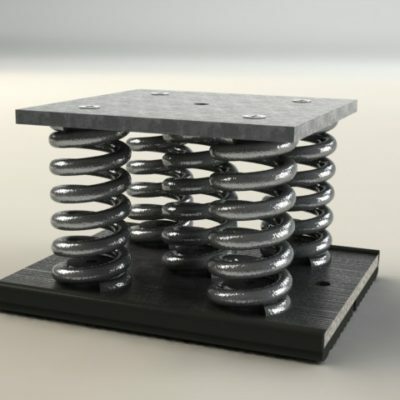 A single coil spring or multiple springs combined with rubber elements, at the base, is applied to increase the vibration isolation efficiency also in high frequencies that could be transmitted through the metal springs. 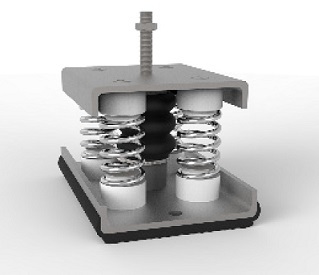 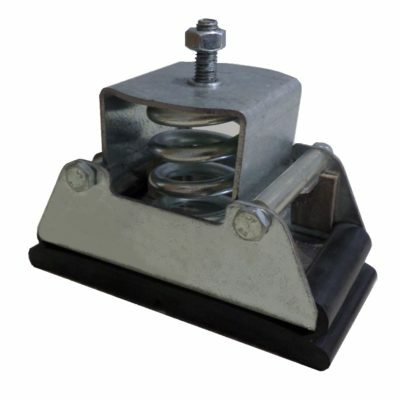 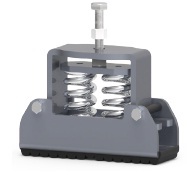 Antivibration Spring Mounts with multi dimensional restrain, viscous damping and adjustable height.